Alex Oliveira vs. Tim Means ended in a no-contest at Friday night’s UFC 207 in Las Vegas, but both fighters disagree with the referee’s decision. Means believes he should be awarded a TKO victory after landing a pair of controversial knees to Oliveira’s head in the opening round at the T-Mobile Arena, but the Brazilian’s team will appeal the result. Otavio Duarte, Oliveira’s coach, told MMA Fighting on Friday night that Means’ post-fight interview is enough evidence to show that calling his knees “unintentional” makes no sense. 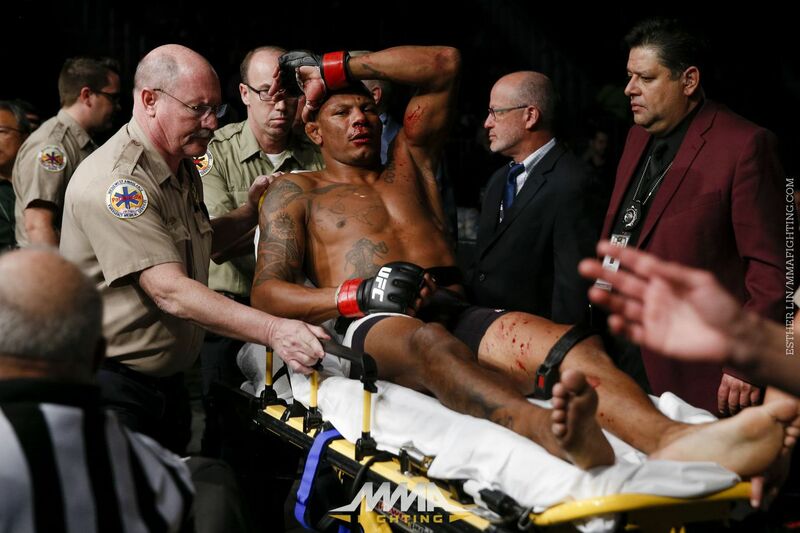 Oliveira was sent to the hospital in Las Vegas after the bout, but his team told MMA Fighting the welterweight is fine. The leader of Rio de Janeiro’s TFT guarantees Oliveira and his staff are not upset at Means, but are unhappy with the referee and the Nevada commission.